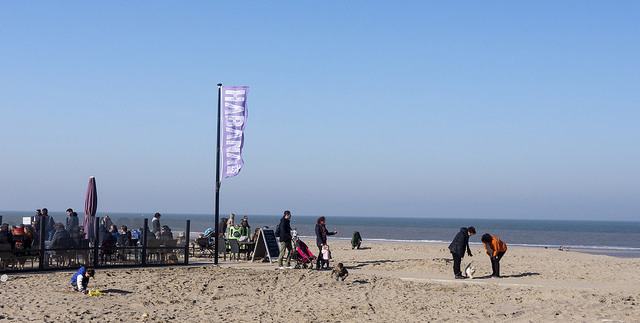 Every spring, beach cafés open along the length of the North Sea Coast and on a sunny day there’s no nicer place to have a coffee or lunch. The Habana Beach Club, on the beach in Kijkduin. As parents, we’re particularly fond of Habana Beach in Kijkduin. Their large terrace includes quite a few tables and chairs located literally on the beach, plus some slides and other toys. This means a few restful minutes of water-gazing for mum and dad, while the little ones play happily. If you bring a sand bucket and a few other small toys, you could easily spend half the day here. 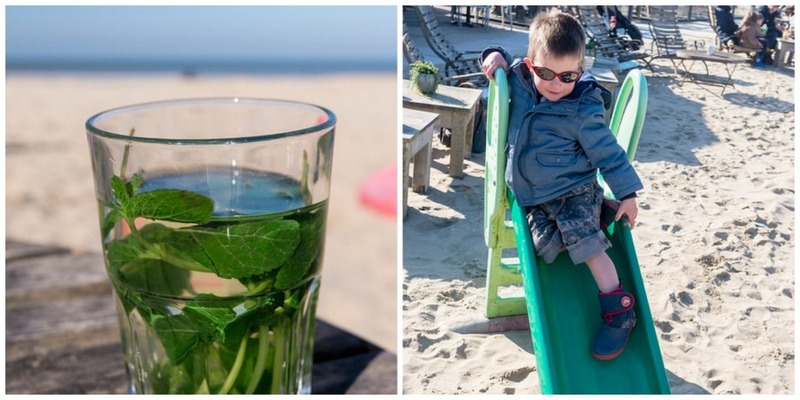 Mint tea, a view of the water and a slide for the little ones. What more do you need? We’ve never eaten a full meal here, so we can’t comment on the quality of the menu, other than to say that the toasted sandwiches and other snacks we’ve ordered have always been tasty, delivered quickly and with a smile. If you want to find us this summer, now you know where to look. Where to find it: Habana Beach, Zuiderstrand 15-16, Kijkduin.